When was the last time you went to the dentist? If you’re like most people, then there’s a great chance you haven’t been anywhere near ten feet of a dental chair unless your teeth were hurting so bad. Guilty? Well, it’s not too late to change your habits. Thanks to the advancements in technology, we can now prevent this dangerous condition. If you test positive, don’t feel down. Instead be thankful because the early stage of oral cancer is curable. Even if you brush your teeth and floss diligently, it can’t be helped that there will be some spots that you will miss. But with a dentist’s help; cavities, plaque, and tartar can easily be removed before they cause any more problems. Leaving tartar buildup on its own can cause damage to the surrounding mouth and gum tissues. If untreated, it can lead to gingivitis and eventually gum disease. Once it reaches that point, it can cause your teeth to loosen and fall off on their own. Oh no! Old habits die hard. You might even be aware that some of your habits can get in the way of your oral and dental health. A regular checkup with the dentist should remedy that! Xerostomia (dryness of mouth) which can lead to bad breath and cavities. Bruxism (tooth grinding) which can lead to the wear and tear of teeth or even injuries. Jaw misalignment which can lead to mouth pain and discomfort. So you see, a short dental checkup definitely goes a long way. Not only will it keep you healthy, but it will also ensure that you can always smile confidently and chew food without any problems. It’s never too late to start getting regular checkups! 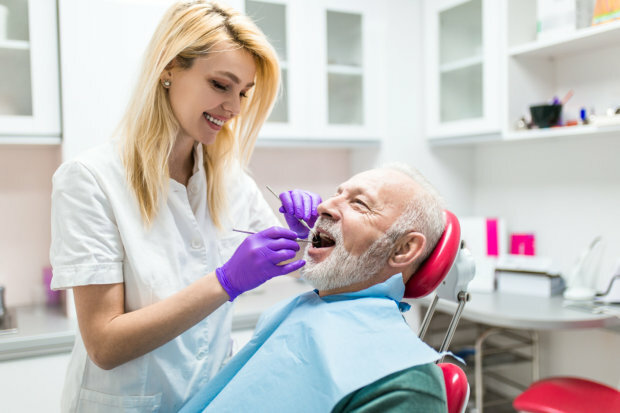 If you want to benefit from the most efficient Preventive Dental Care in Lincoln, CA, then you should book an appointment with Tooth Spa Dentistry and enjoy the benefits of Cosmetic Dentistry at the same time! We’re a one-stop shop for all your dental care needs. Check out our website to learn more. We hope this blog post has been a great help in raising your dental health awareness. Feel free to share this with your loved ones and friends, so they can learn from it too! This entry was posted in Dental Care and tagged dental checkup, dental health, medical checkups, oral health conditions, preventive maintenance. Bookmark the permalink.